Troops have continuously intensified clearance operations of the remnants of Boko Haram terrorists in the North East under the auspices of Operation LAFIYA DOLE. 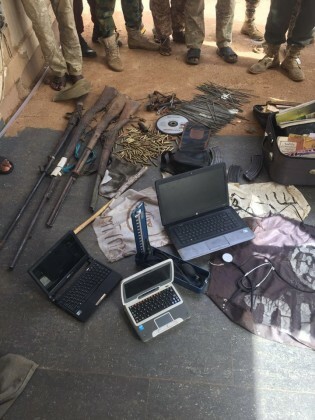 It is in this vein that troops of 231, 331 Battalions and elements of Armed Forces Special Forces Battalion, accompanied by some vigilantes, conducted a clearance operation at Doksa village aimed at clearing the remnants of Boko Haram terrorists hiding in the area. The team cleared all the routes in the general area as well as suspected hideouts of the Boko Haram terrorists before arriving and clearing the terrorists out of their enclaves in Doksa 1, 2, and 3, as well as Sabon Garin Doksa. The troops also dominated the area with heavy artillery shelling against other registered locations of Boko Haram terrorists at Buga Dam, Golgore and Lariski villages. The Boko Haram casualties are enormous and troops have also intensified shelling other hideouts. The troops also recovered 1 pick up van, several motorcycles, several bicycles as well as drugs, foodstuff and books. They also recovered 3 tyres of a stolen military Hilux vehicle which was stolen on 19th December 2015. 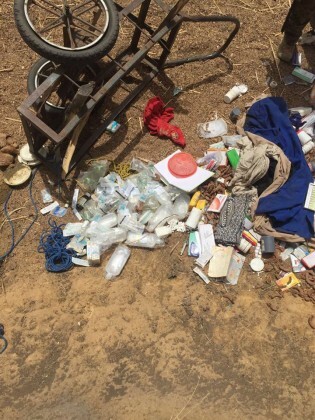 Other items recovered include a laptop computer, 2 mini laptop computers, 4 Dane Guns, 1 Blood Pressure measurement apparatus, 3 rifle magazines, large quantity of ammunition of various calibres, a Nokia mobile phone and SIM cards. They also rescued 4 women and 2 children.